Read more by Erik Spanberg at the Charlotte Business Journal. 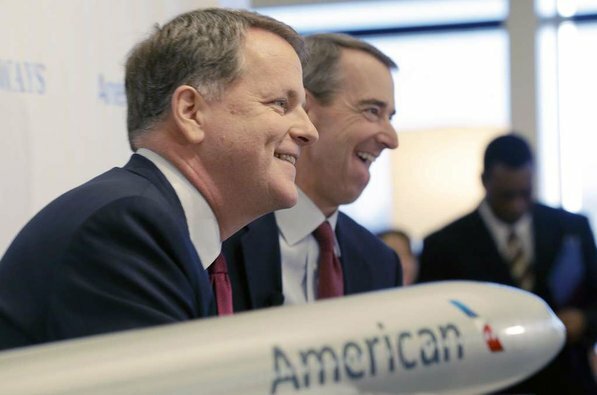 Doug Parker, the airline’s CEO, was midway through a two-day visit that included discussions of his company’s $11 billion merger with American Airlines. He told me and other attendees over and over that the merger will be good for the Charlotte hub US Airways Group Inc. (NYSE:LCC) operates here. And he emphasized that his airline won’t take sides in the local controversy over shifting control of the airport from the city to a regional aviation authority. More than anything, Parker said, his airline wants to see Charlotte retain its low-cost, no-frills philosophy. The merged airline, if it gains approval from federal regulators, would discard the US Airways name and be known as American Airlines. Its headquarters would be in Fort Worth, Texas, American’s current corporate hub, and US Airways executives, including Parker, would move from their base in Tempe, Ariz. Parker will be CEO of the combined airline. Executives from the airlines hope to close the deal in the third quarter. He said the merger will strengthen the industry because American will become the largest airline but remain comparable to Delta, United and Southwest. American-US Airways would account for 25 percent of the total airline seats in the United States, Parker said.